Each Tab represents a different stage in your VSL reporting. Click on each Tab for instructions on what needs to be completed for successful reporting. If you are required to complete VSL reporting, it is important that you incorporate specific VSL field collection and processes into your Course Offer, Learner and Enrolment setup. Spending a little more time up front can save a lot of time later. Before you can set up for correct reporting you need to understand the reporting requirements especially surrounding what data collection is required. VSL File Guidelines outlines each field that is required for your particular reporting requirements. 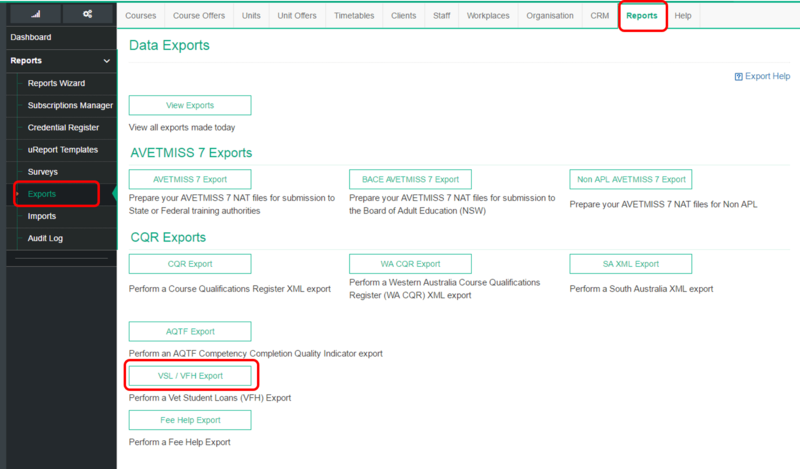 Learners that have withdrawn, deferred or resist will need to be updated prior to export. 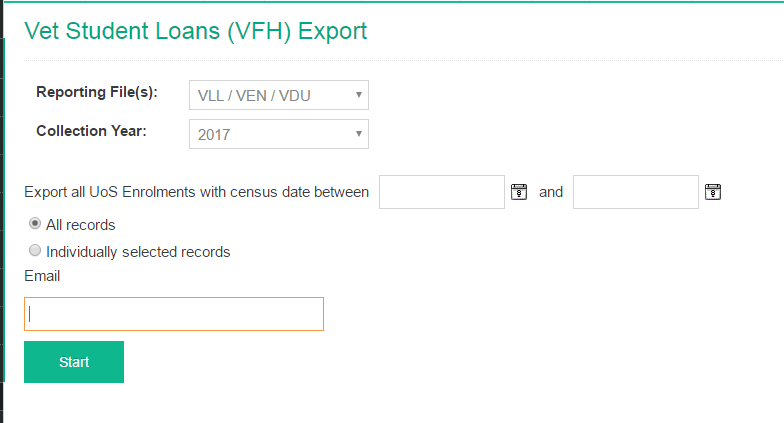 Once you have identified fields that require changes and this has been completed your updates can be performed in bulk. You can create a Task in Wisenet to help keep track of when reports need to be created. Alternatively, you can subscribe to a report. 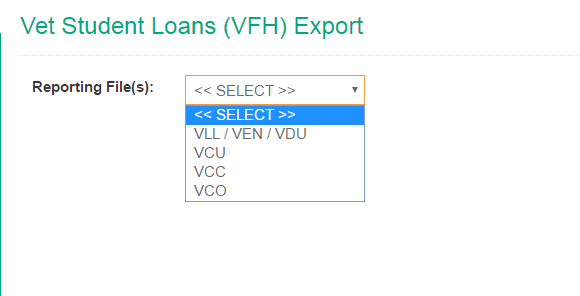 If your export appears to be missing information check this with the corresponding export on the VET Student Loans File page. You will then need to make the changes and generate your export again. After your export has been submitted there may still be errors. Look in the Structure document for the File in question and locate the Element by Number by clicking on the number for further details. Or: open the export text file and find the position (based on the structure) to determine the value being reported. When these updates have been completed you will need to generate the export again and resubmit.